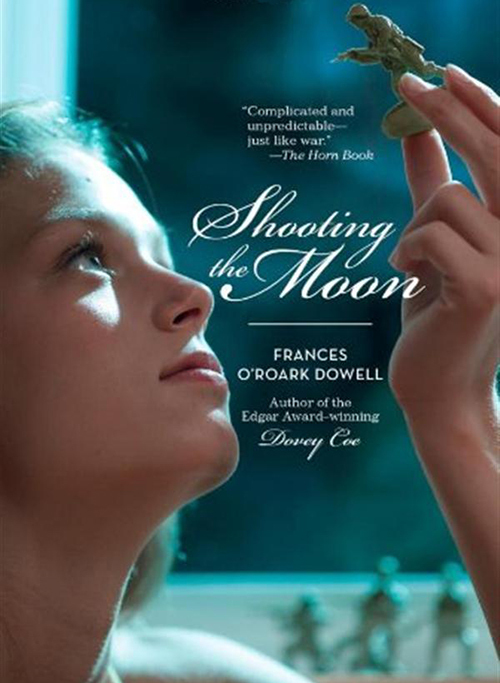 Youth age 9 – 12 and your adults, join us for a discussion of the book “Shooting the Moon” by Frances O’Roak Dowell facilitated by a local librarian. Explore artifacts and archival materials related to the book, a family friendly mini-tour of The Vietnam War: 1945 – 1975, and a snack! One copy of “Shooting the Moon” is included with registration. Additional copies of the book are available for sale in the museum shop. You can also find copies from the eiNetwork’s online library catalogue. When twelve-year-old Jamie Dexter’s brother joins the Army and is sent to Vietnam, Jamie is plum thrilled. She can’t wait to get letters from the front lines describing the excitement of real-life combat: the sound of helicopters, the smell of gunpowder, the exhilaration of being right in the thick of it. After all, they’ve both dreamed of following in the footsteps of their father, the Colonel. But TJ’s first letter isn’t a letter at all. It’s a roll of undeveloped film, the first of many. What Jamie sees when she develops TJ’s photographs reveals a whole new side of the war. Slowly the shine begins to fade off of Army life – and the Colonel. How can someone she’s worshipped her entire life be just as helpless to save her brother as she is? $20 for non-members and $15 for members, which includes one copy of the book, program fee, and museum admission for up to 2 youth ages 9-12 and 2 adults. Register online. For more information or for History Center members who need the discount code, please contact Youth Programs Coordinator Nate Rodda at nrrodda@heinzhistorycenter.org or 412-454-6433. 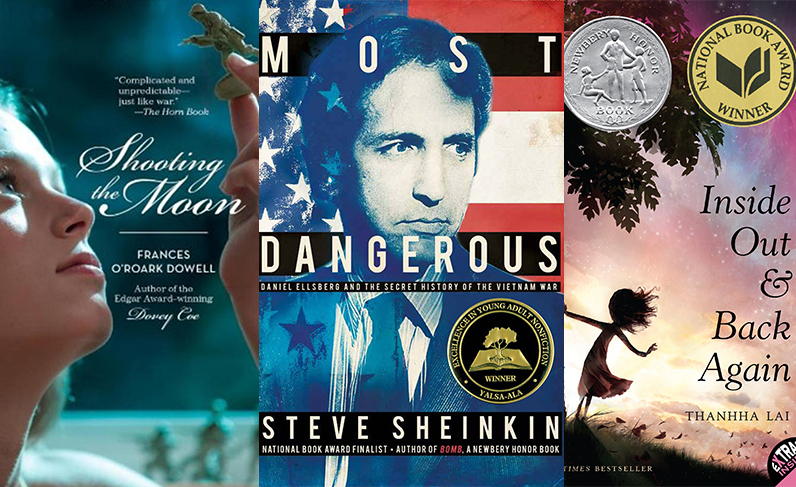 Over the summer, youth age 9 – 12 and their adults can join literary adventures that explore the Vietnam War era, connected with The Vietnam War: 1945 – 1975 exhibition. Each month, families will read either a historic fiction or nonfiction book at home. On the second Sundays of June, July, and August, we will host a book wrap up event from 2 – 3:30 p.m.